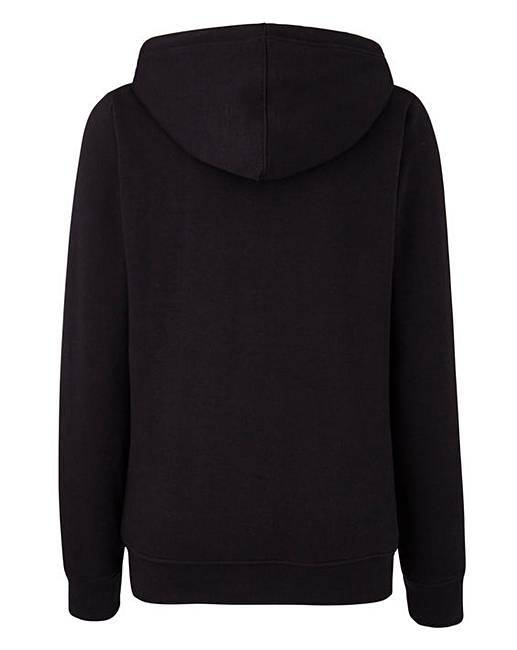 Black Zip-Through Hoodie is rated 3.7 out of 5 by 41. Essential hoodie, practical and functional. 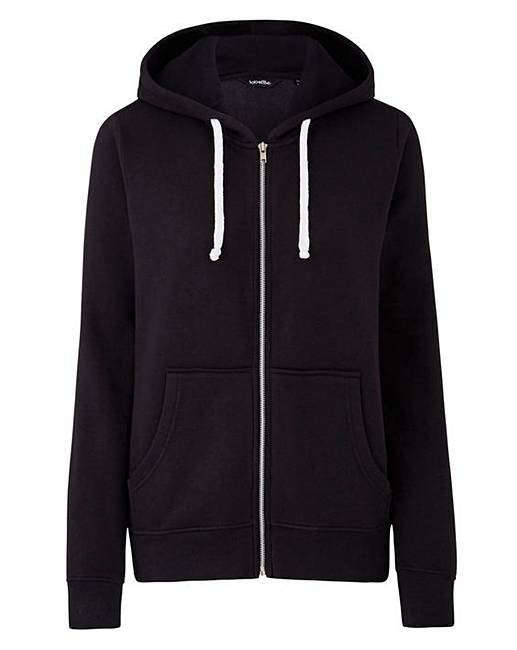 Ideal for an everyday hoodie, it features a pullover hood, ribbed cuffs and hem for a secure fit. Functional full zip to the front. Perfect for keeping comfortable and cosy. Wear with the matching joggers for a great everyday look! Rated 5 out of 5 by UrbanAngel from Stylish & comfortable This casual jacket is a great size and soft material. It washes great and my daughter absolutely love this. It’s such a comfort for her to wear over her new t-shirt and jeans. looks great and very smart for a casual pull on hoodie. She wears this when we got out walking and the hood is handy to protect her when it’s windy or rainy. Rated 5 out of 5 by Davi from Good value I bought this a while ago and have warn it regularly. It fits under my big parker and has proved ideal whilst walking the dog.